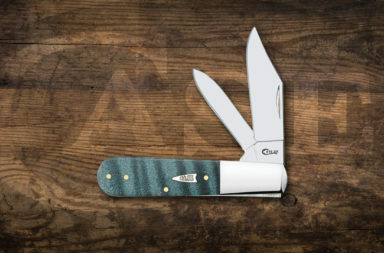 Before we get into the nitty gritty of two slipjoints that might be an investment or might be just a couple of great knives to add to your collection, let’s talk about collecting knives. There are three types of knife collectors: buyers, short sellers, and investors. The first category is just about anyone who buy more knives than strictly needed, like us. Short term sellers tend to flip the knife hoping for a quick profit. An investor tends to stick the unused knife in a safe for years or decades hoping for a significant increase in value. Sometimes on the internet, these factions can argue heatedly about the value (or potential value) of a knife. Sometimes those arguments can reach Dickinson-ian proportions. The one thing they all agree on: if you plan on selling the knife for profit, never use it and keep the box. Collecting knives for profit is much like the stock market. Whether it’s a short-term seller or a long-term investor, they’re all trying to make a profit with their knife collection. As lovers of knives generally, we care a bit less about potential profit. Why? Well, the truth of the matter is that the value of a knife is uncertain. A knife that goes for a ton of money now might go for nothing next month and vice versa. Our stance is you should buy what makes you happy without regard for the future potential earnings. In this manner, you always win the knife collecting game. Left to our own devices, we tend to buy knives that catch and hold our attention. Sometimes it’s the history attached to a particular knife or a particular company. Sometimes it’s because the knife is interesting in and of itself. 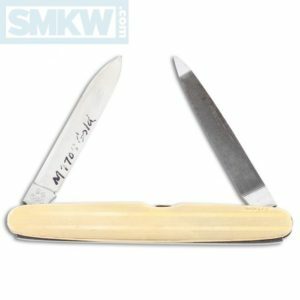 Here are two slipjoint knives that might be at home in anyone’s collection. We think they’re interesting. 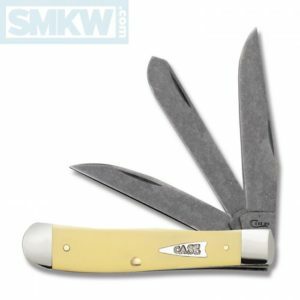 Something that would have caught our eye is the Case Three Blade Trapper with yellow delrin handles. The blade configuration in this pattern makes this knife different and interesting. You might see a thousand Trappers, but you don’t often see a Trapper with three blades. 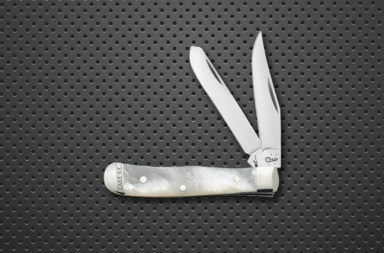 This knife has three 3.125” stonewashed Chrome Vanadium blades – one clip point, one spey, and one Wharncliffe. It also has yellow Delrin handles, nickel silver bolsters, and a nickel silver shield. There’s gold in that there slipjoint. 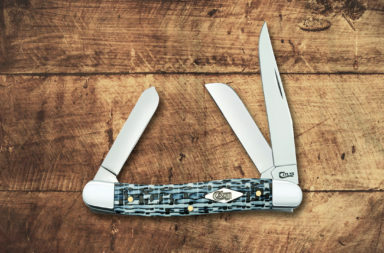 The vintage Schrade Cutlery Company slipjoint has 10k gold fill handles. You don’t see many knives made with actual gold anymore. That alone would immediately get our attention. Add in that 1946 and 1947 was a time of huge geopolitical change for the world (as well as the cutlery industry) and we’d be sold. Remember when we talked about the Queen Cutlery shenanigans? It’s a tale told frequently in cutlery history. Schrade is no different. In 1946, Kingston Cutlery Company (Albert M. Baer, a name attached to almost as many brands as C. Platts) bought the Schrade Cutlery Co. and renamed it the Schrade-Walden Cutlery Co. The story of the knife itself tells the tale of this knife. Both the tang stamp and the knife indicate this knife was made sometime in the late 1940s. It has 10k gold fill handles as indicated on the back handle. 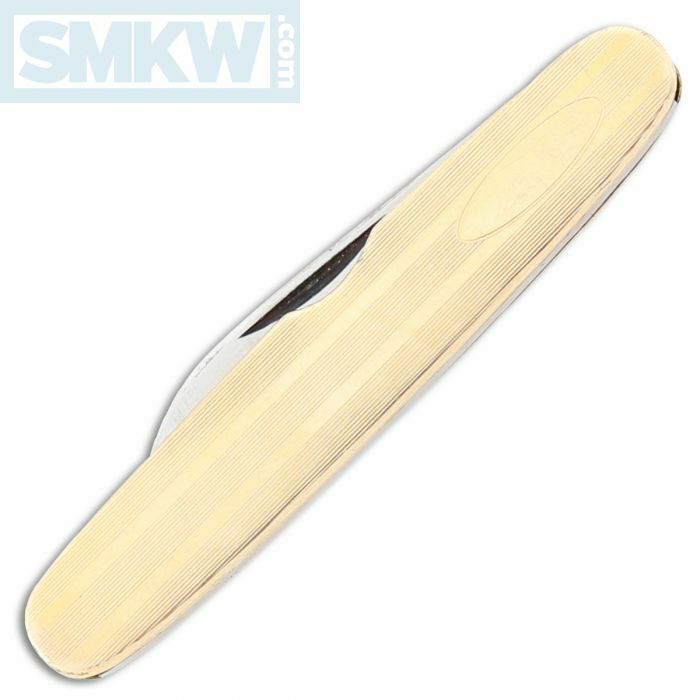 The almost 1 3/4” pen blade is mirror polished stainless steel. 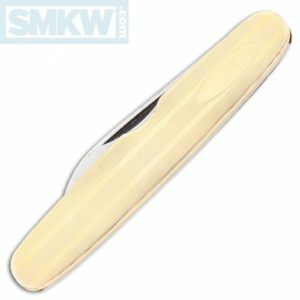 The secondary blade is a nail file. 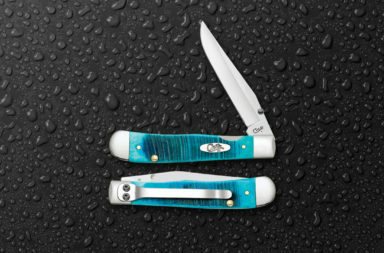 Whether you’re an investor, a hese two slipjoints would make an excellent addition to any knife collection. If you’re interested in these knives, click any link in the article or simply click the button below.